The world's first OLED display DMX decoder. 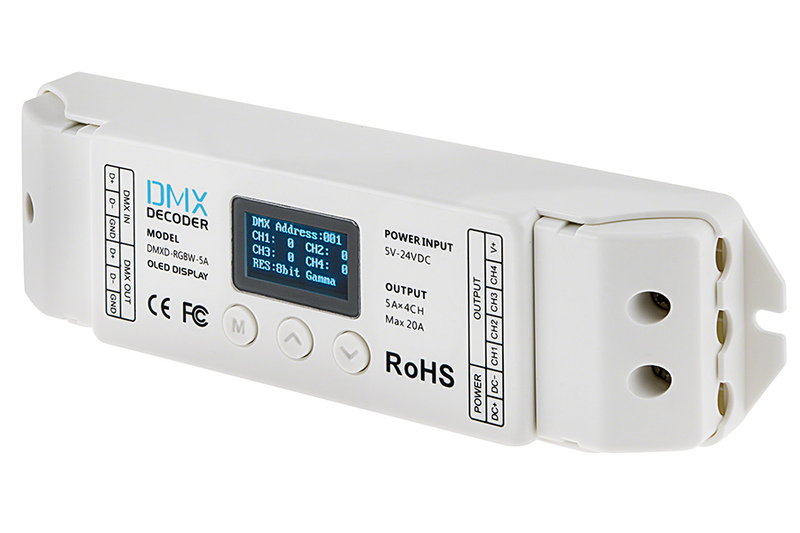 The 4 channel DMX512 decoder controls up to 4 different 12 VDC LED products or any one RGBW LED light bar or strip. 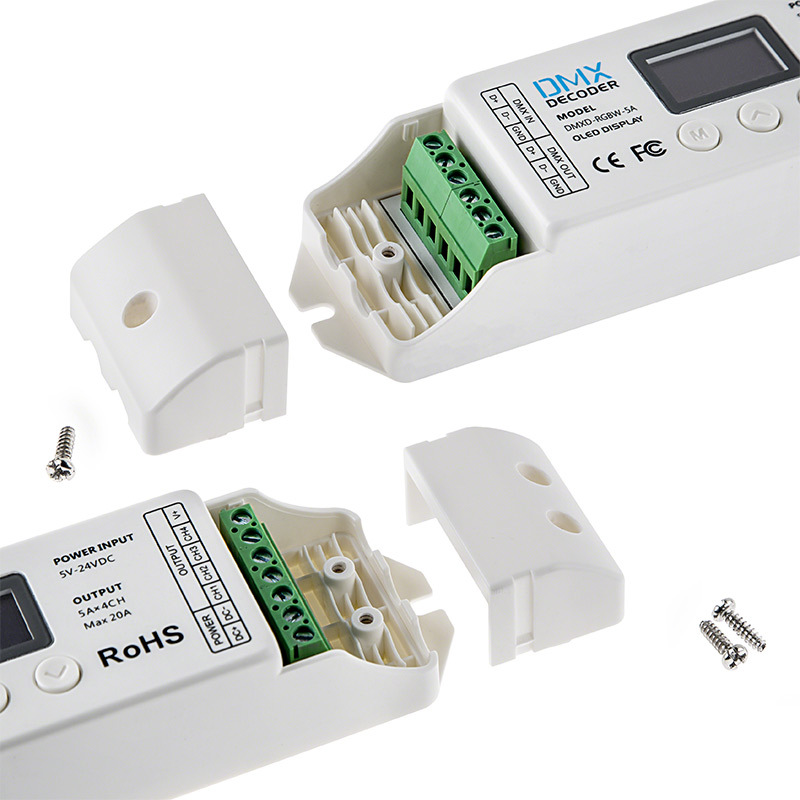 DMX address is easily set using push button switches under the display. 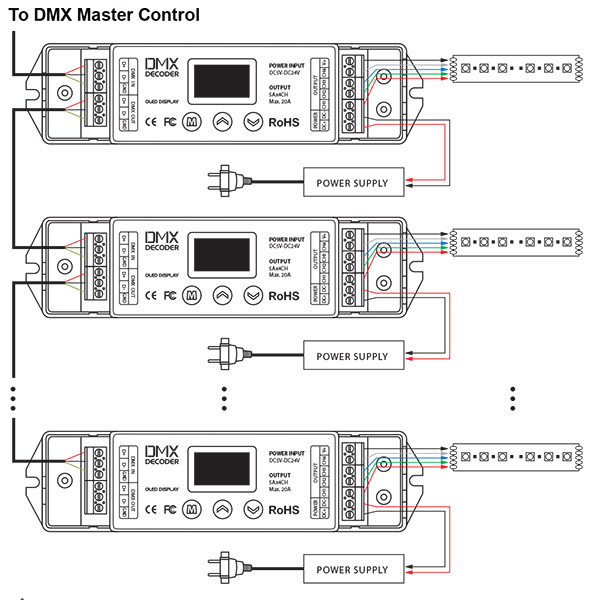 Receives DMX512 digital control signals via 3 wire terminal strip connection. 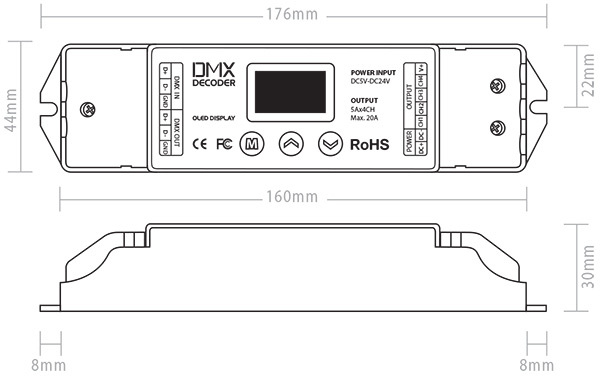 DMX decoding driver converts universal DMX512 digital signal to PWM signal, which can be controlled by DMX512 console with 8-bit/16-bit gray scale output per channel. Maximum load 5 amps per channel—20 amps total. 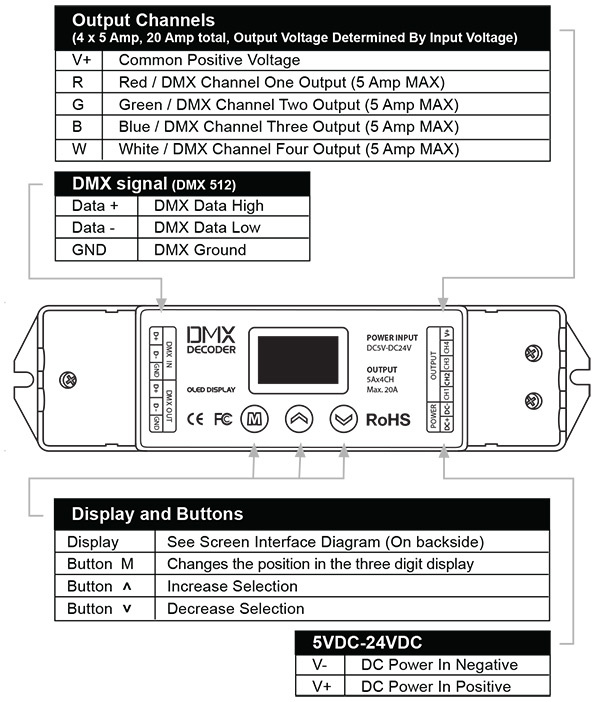 Available DMX starting channel 001-512. 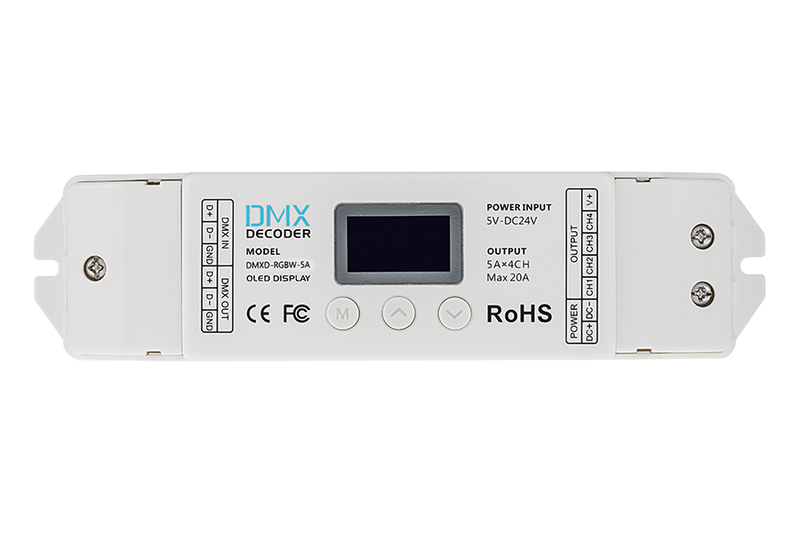 DMXD-RGBW-5A is the world’s first OLED display DMX decoder. 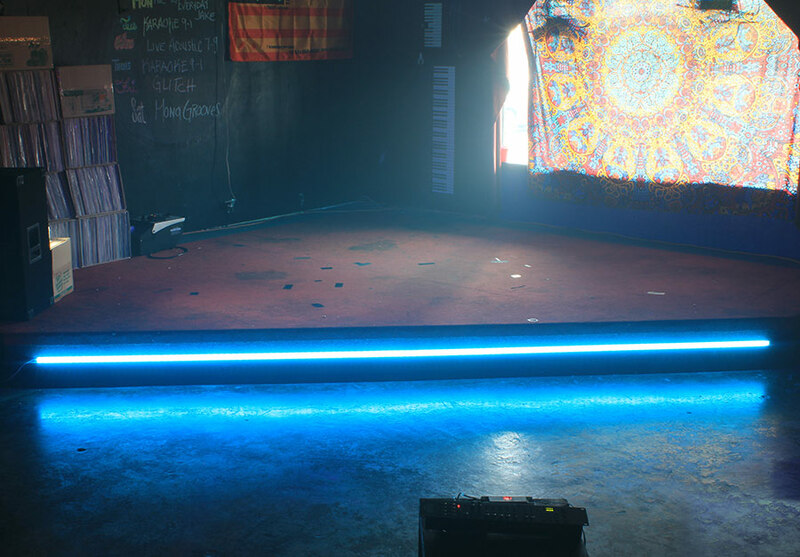 Works with any brand of DMX dimmer for outstanding dimming and lighting effects, and offers superior features. 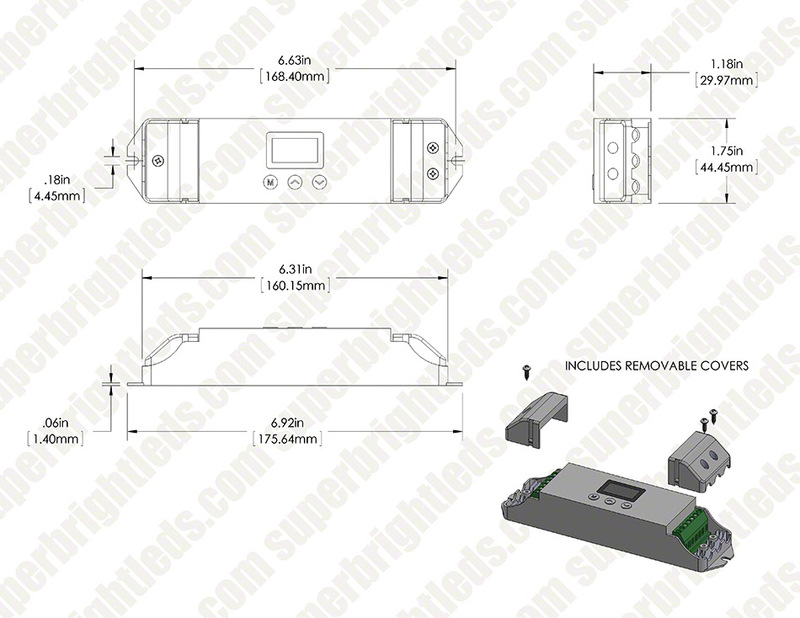 This device will work as either an eight bit or 16 bit DMX device. 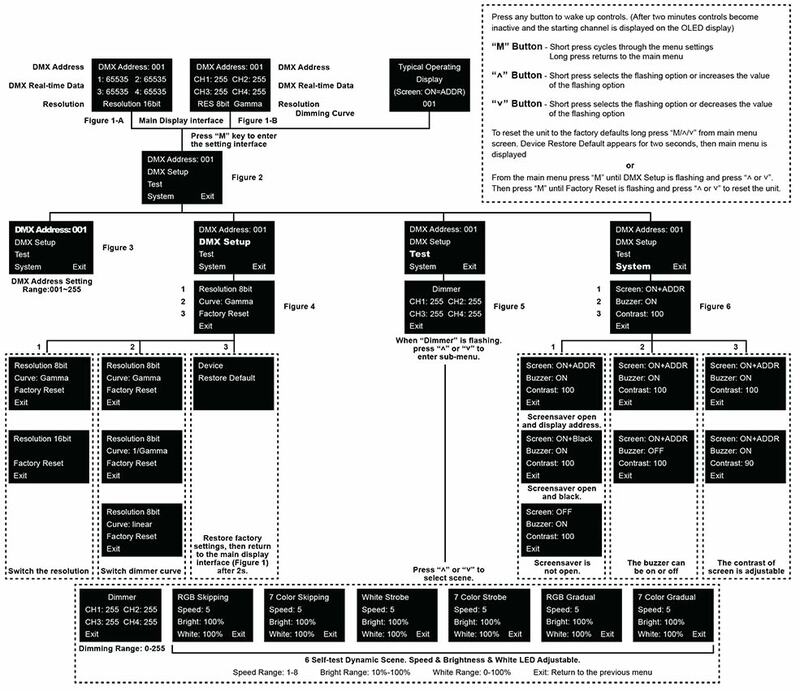 However, when the 16 bit option is selected, 2 DMX addresses are required to use each channel (one for "course" and the second consecutive address will be the "fine"). Thus when using the 16 bit option, it requires eight consecutive addresses. This product is non-waterproof. Please avoid the sun and rain. When installed outdoors, please ensure it is mounted in a waterproof enclosure. Please ensure that adequate-sized cable is used from the controller to the LED lights to carry the current. Please also ensure that the cable is secured tightly in the connector to avoid the accidents due to overheat and poor contact on the wire. 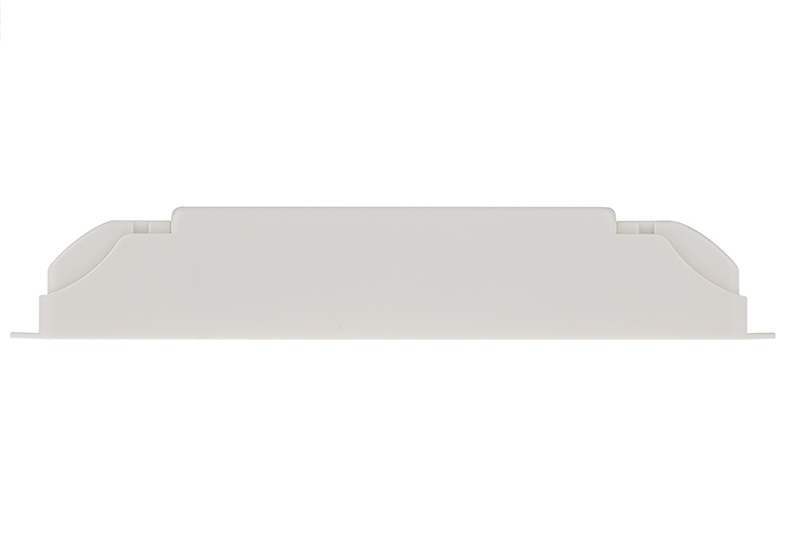 This device will work as either an eight bit or 16 bit DMX device. However, when the 16 bit option is selected, 2 DMX addresses are required to use each channel (one for "course" and the second consecutive address will be the "fine").